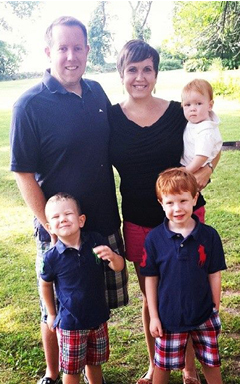 Keri is one of the 3rd generation family owners at The Foursome, and also a WHS and Gustavus Adolphus grad. She enjoys working in the fashion business because it's fun to help people feel good about themselves, which is what happens when someone finds the perfect shirt or great outfit or favorite new pair of shoes. She says, "even though what is on the inside is the most important, when we feel good on the outside it helps us feel more confident in many aspects of life." Tommy Bahama is her favorite brand at The Foursome. Tommy is classic and predictable, yet updated and fashionable at the same time..much like her notoriously well-dressed husband Noah. She loves how the brand continues to evolve with great new fabrics and styles so every season there is always something to look forward to. In her own closet she can't live without dark skinny jeans because they are versatile and can be dressed up with a blouse and tall Frye boots, or dressed down with a sweatshirt and Sperry Topsiders. Keri often reminds us that footwear may seem like a minor part of an outfit, but can have the biggest impact. Shoes can pull an outfit together or be the wow factor that people will compliment you on. 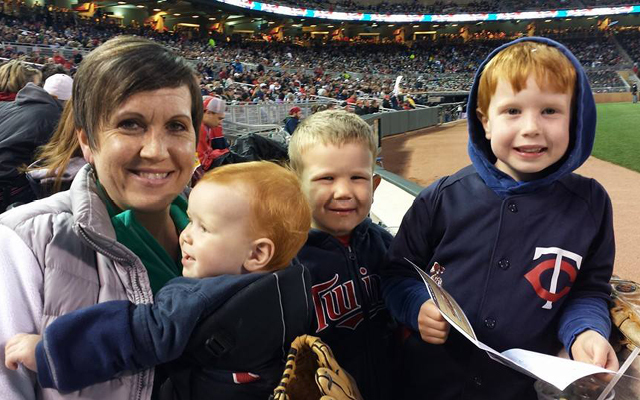 When not at work, Keri likes to play with her three little boys, go to local sports games - the Twins or Gopher football - or go for a run. Her favorite movies include Hoosiers, Top Gun, and Oceans 11 and has been in love with the Dave Matthews Band since the time she saw them live.